Competition: The number of advertisers that showed on each keyword relative to all keywords across Google. The value is between 0 - 1. The higher the number, the more competitive the keyword among advertisers. That means Google advertisers are very willing to bid this keyword for a higher price. It will take a higher advertising cost if you are bidding this keyword in Google Adwords. However it doesn't necessarily mean that this keyword is hard to rank in terms of SEO. If many advertisers are willing to pay for the keyword but SEO competitiveness is low, it means that the keyword is worth to be included in our SEO campaign. CPC: Cost Per Click in short form. It means that the suggested bid that advertisers are paying for this keyword. If the keyword is showing "5", it means that advertisers are willing to pay a click for 5 dollar in Google. The amount is only a forecast amount provided by Google, and your actual cost-per-click may vary. However if a keyword CPC is high, it may indicate a keyword ROI is high. The return may be high in order to cover the high advertising cost. Quota: the quota left in your plan. Our basic plan includes 100 times of keyword suggestion here. As there is an additional cost to include keyword data in our app, we can only limit the usage to enforce fair usage. 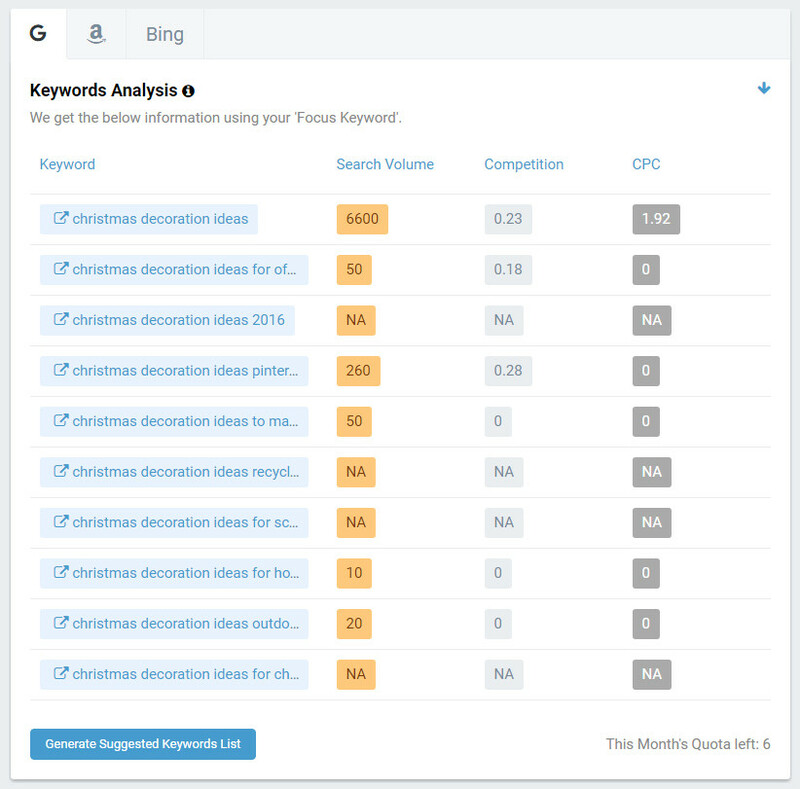 The related keywords shown are curated by Google, Amazon and Bing auto suggestion data. When a user search on Search Engines, he will be very likely to search a query based on the suggestions provided. We collect these data and look up the search volume of them. After that you can pick up a keyword as your focus keyword. Of course you can also conduct paid advertising campaign on suitable keywords if you want to focus your marketing efforts. If you click on a keyword, you will be redirected to Google Trends. 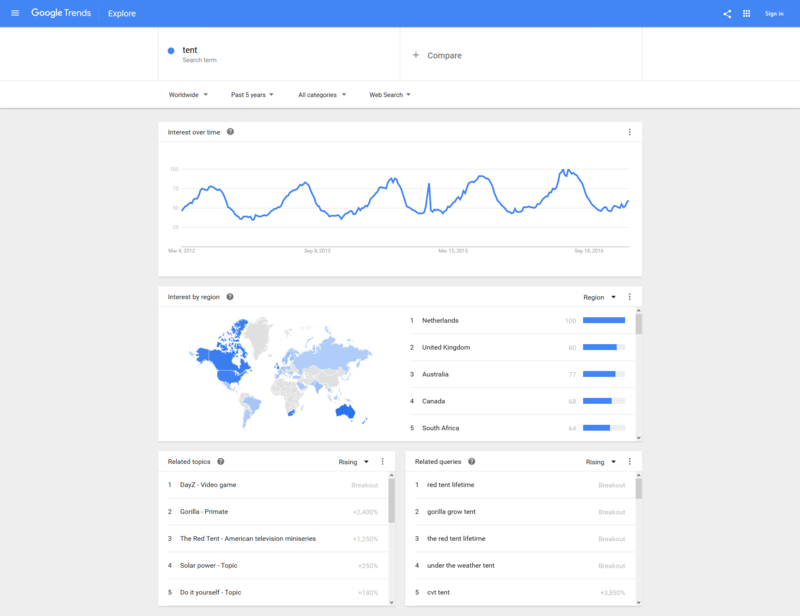 Google Trends is a web service that shows how frequently a given search term is entered into Google's search engine relative to the site's total search volume. When it is going to be seasonal festivals like Christmas, Halloween, some products will probably show a soar in search volume. 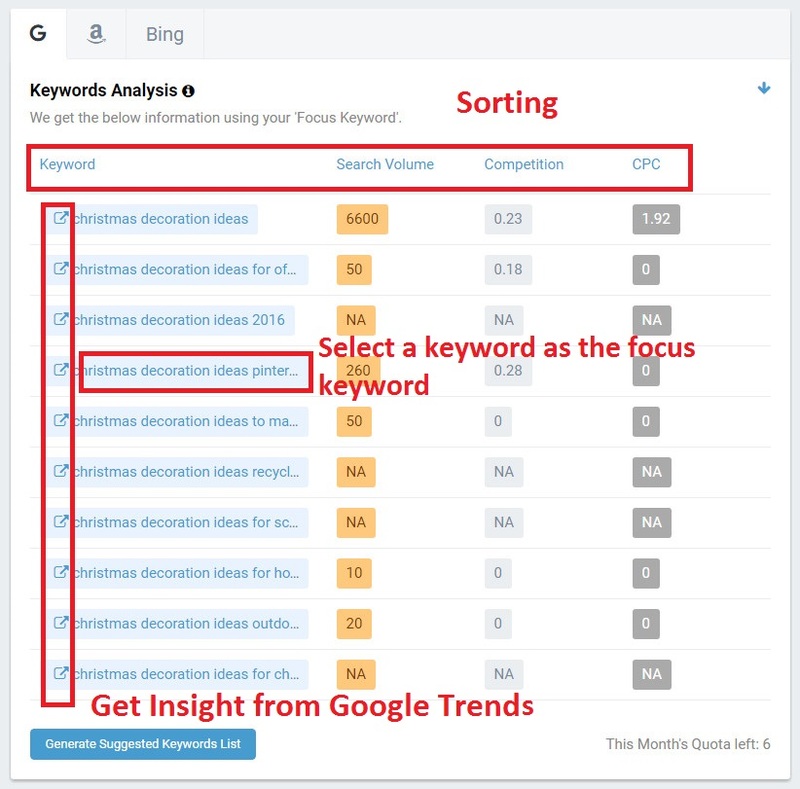 Though there is no exact search volume provided by Google Trends, you can research the most popular keywords in SPO (we provide search volume) and further narrow your selection in Google Trends. It can be very useful if you want to do a quick promotion. In such cases you can discover the most popular products and focus your budget on the quick campaign.